In today’s competitive world, content marketing is increasingly important for businesses to reach their target audiences. 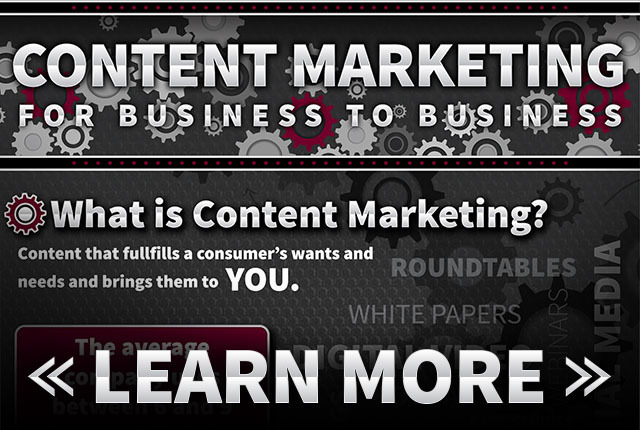 Content marketing has become one of the most popular forms of advertising in the digital age. Many businesses are realizing the power of leveraging these tools to increase awareness, retain their current clients through engaging and relevant interaction and acquire new customers by reaching untapped market segments. Half of all B2B marketers plan to increase their content marketing budgets this year to capitalize on these unique advantages. Now, it’s time for you to figure out which outlets are most effective for your business. Ready to get started? Check out our infographic now!